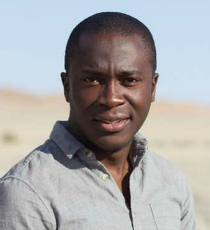 Patrick Aryee is a biologist and television presenter, who has also worked as a crew member for BBC productions such as Frozen Planet and Attenborough: 60 Years in the Wild. Patrick has presented documentaries such as Super Senses: The Secret Power of Animals, Super Cute Animals and Wolfblood Uncovered. This year he has appeared on The One Show, and presented Big Beasts: Last Of The Giants.